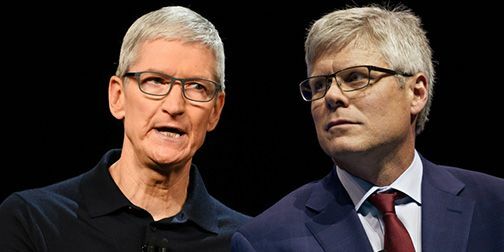 The meeting between Tim Cook and Steve Molenkoff a year ago at the headquarters of Apple Inc. began with a tense moment. The emerging leaders of two smartphone industry titans – Apple and Qualcomm Inc. – were there to discuss long-standing patent litigation. Mr. Molnopopf, who suspected that Apple supported a hostile takeover of his company, did not initially speak, leaving his chief counsel to start talking, according to people familiar with the meeting.